You’re supposed to stay in the Philippines for only a few weeks; or perhaps for a month or so. But you’re enjoying yourself so much that you want to have an extended stay in one of the hotels in Manila. It feels like the days have passed by so quickly; that is, just when you’re beginning to get the groove of the Philippine metropolis or the country’s tropical vistas, you’re suddenly forced to soar back to your homeland hundreds—or thousands—of miles away. Or maybe something came up that obliges you to stay here longer—a meeting with a friend or some dire emergency? Whatever your reason is, don’t fret. 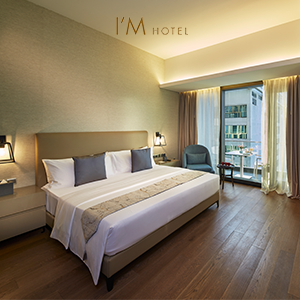 You can have the extended stay in one of Manila’s 5 star hotels that you’ve been longing for. All you have to do is follow the rules in filing for an extended visa, then you’re all set. . .
Well, not really. You want to go beyond that, of course. You want to ensure that those precious additional weeks (or months) will be time well spent. You want to get the best out of your experience here in the Philippines, and that means booking a stellar hotel that can provide all your needs, as well as knowing where to go and what activities to indulge in during the day. All this might sound rather daunting to some, but don’t worry, this post will help make this experience a lot more seamless for you. Below is a guide during your extended stay in one of the hotels in Manila. Before you worry about anything else, you’re probably going to dwell on the technical concerns first. So what happens if you overstay? If you stay a bit longer than what your visa allows, then you’re not going to be in an extremely dire situation. This dilemma, after all, is rather easy to fix—that is, you just have to pay some fines. However, you’ll face serious trouble if you can’t pay the necessary penalties or if you stay in the Philippines for more than a year. The latter scenario will cause you to be blacklisted, which means that you can’t step inside the country again. Basically, you won’t be allowed to leave the country until you pay your fines. Make sure to avoid these unpleasant circumstances by simply filing for a visa extension beforehand. How do you extend your stay? Foreigners arriving in the Philippines are granted an initial 30-day visa. If you wish to stay much longer than this prescribed period, then you can apply for a visa waiver, which will provide you with additional 29 days here in the country. Do you still want to stay further? Then you’ll need to file another extension application for 1 month, 2 months, or 6 months—depending on what you want. Do this a week prior to the expiration date of your stay. This guarantees that you won’t incur any penalties for overstaying (as illustrated earlier). All you have to do is go to any of the Bureau of Immigration offices with your passport and fill out a visa extension form. If you’re wondering how long you can stay in the Philippines, then it depends. 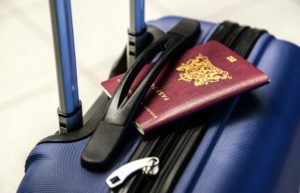 Non-visa required nationals can stay here for a maximum of 36 months, while visa required nationals can only extend their stay up to 24 months. To be sure which category you belong to, it’s best to look it up online or to contact the embassy. 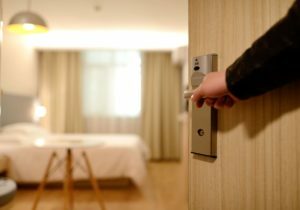 What should you look out for in hotels? 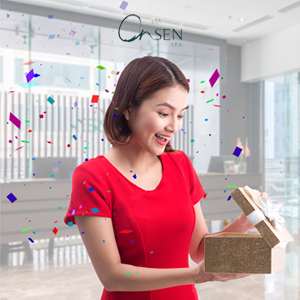 After dealing with all these technical matters, it’s time to go to the next step—that is looking for a hotel in Manila that can make your extended stay a memorable and fulfilling experience. But with the myriads of hotels and packages out there—and with all of them claiming to have the best services, at that—it’s easy to be confused. How exactly can you find the hotel that will cater to your needs? As with most things, it’s recommended that you arm yourself with knowledge and do the necessary research before you plunge into booking a room. Doing this, needless to say, will help you make smart decisions. Price. Make sure that you choose a hotel that fits within your budget. Ultimately, this still has something to do with what you need. Location. To make it a lot more fuss-free for you, it’s best to select a hotel that’s close to the neighborhoods that you want or the kind of lifestyle that you want to indulge in. If you don’t have any specific place in mind, then it’s recommended that you opt for a hotel that’s within close proximity to establishments and to tourist spots, so that you’ll have no problem reaching these places. Amenities. Again, what are you looking for in a hotel and how much money can you allocate for it? Do you want a quick access to a swimming pool or a spa during your extended stay in a hotel here in Manila? Consider these criteria when you’re seeking a hotel. Family-friendliness. If you’re bringing your family with you, then ensure that the hotel is ideal for them. What do you do when you extend your stay? Now that you’ve extended your stay in the Philippines and now that you’ve booked a hotel room, what’s next? Well, you’re finally free to explore Manila as much as you want. With so many sights to visit, however, it’s easy to be overwhelmed. And if it’s your first time wandering around the capital, then it’s easy to be swallowed by the hustle and bustle of the city. . . And eventually lose your way. 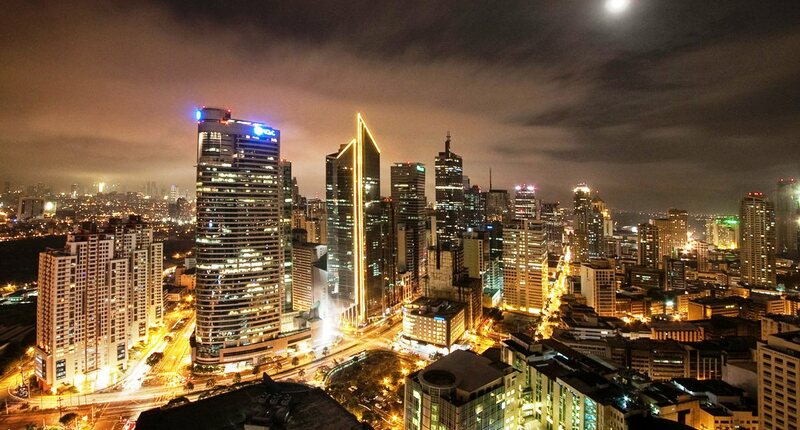 If you’re bewildered, then this post will help you make the best out of your stay in Manila. Intramuros is witness to multitudes of historical events. It also remains as the only district in Manila where you can still see vestiges of the Spanish era. In fact, it will probably feel like the place is pulled out from a history textbook. For one, it’s a common sight to see a kalesa (or a horse-drawn carriage) traversing the roads. You’ll also catch a glimpse of majestic churches, such as the Baroque San Agustin Church and Manila Cathedral. The former was one of the churches built during the Spanish colonization, and is also recognized as a World Heritage Site by UNESCO. Your exploration of Intramuros is never complete without a visit of Fort Santiago, a well-kept park right at the heart of the district. To make the visit a lot more fruitful, you can also opt to have a guide with you. Quiapo is also branded as the “Old Downtown of Manila.” Here you can find the Quiapo Church, where the feast of the Black Nazarene takes place every year. It’s an occasion that lures in millions of people. Aside from that, Quiapo is also famous for its cheap and bargain funds—where you can find things for a steal. Because of that, this place can be extremely crowded, which can be rather shocking for some tourists. You can also have your fortune told by fortune tellers loitering just outside the church. You can check out some of the anting-antings (lucky charms) being sold—these amulets are said to ward off evil spirits. Additionally, there are charms that are said to grant its owner luck and good health. The oldest Chinatown in the world was established in 1594. As the name suggests, Binondo will give you a glimpse of this Chinese community here in Manila. 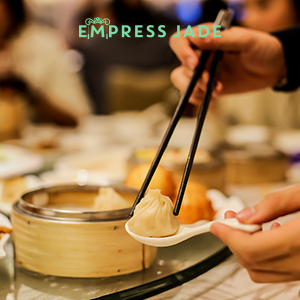 Aside from being a cultural haven, it’s also filled to the brim with food and restaurants; in fact, you can find more than a hundred of them in Binondo. 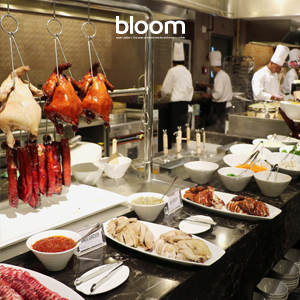 From Chinese street food to a more expensive buffet dinner, this place has you covered. You can be sure that your cravings will definitely be satisfied. This list is far from finished. This is just a sampling of the wonderful activities you can do here in Manila. Don’t be afraid! Be adventurous, talk to the locals, and do ample research. Make sure that you maximize your extended stay in one of Manila’s hotels. If you’re seeking a splendid accommodation in a hotel for your extended stay in Manila, then the I’M Hotel team is waiting for you. I’M Hotel boasts several firsts. For one, it’s the first 5 star hotel in Makati. It’s also home to the first Onsen Spa in the country—this spa, in fact, is the largest urban spa center in the Philippines. I’M Hotel is also nestled in an ideal location—that is, within a convenient distance to malls and other establishments. You’ll have no difficulty finding whatever it is you need; everything is within easy access. Aside from our spa offering, basking in our infinity pool is also another superb service created just for you. With the pool’s location and its unique acrylic bottom, you’ll have a swimming experience unlike anything before. The pool can be seen from the lobby, which creates a certain bond between the guests who are swimming and the guests who have just stepped inside the hotel. You’re also free to marvel at our hotel’s sophisticated and luxurious architecture, as well as our stash of featured artworks by several talented artists. Even though you’re still not in the midst of Manila’s mesmerizing cityscape, there will always be a sight for you to behold here in the confines of I’M Hotel. And then, of course—there’s the food. 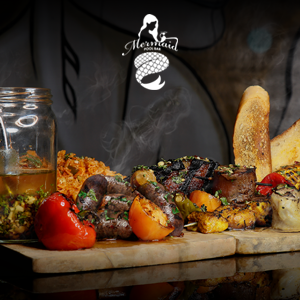 An exceptional hotel should have an equally excellent food in its arsenal. 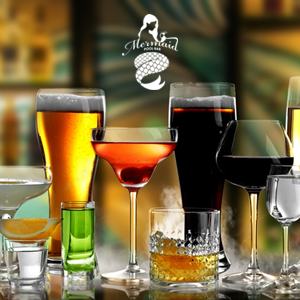 Here at I’M Hotel, we grace our guests with a vast array of dining options, which will definitely suit and satiate your taste. Lastly, to make your stay in Manila more seamless, I’M Hotel grants our beloved guests a daily shuttle service, which will allow you to explore the vicinity of Makati, giving you a glimpse of its eclectic and exciting lifestyle. If you’re interested in booking a room or if you have any inquiries, then contact us now. Also, feel free to browse through our website. You could have a feel of our services by checking out our rooms, our dining options, and our spa. For sure, you won’t be left disappointed. The I’M Hotel team is waiting for you.